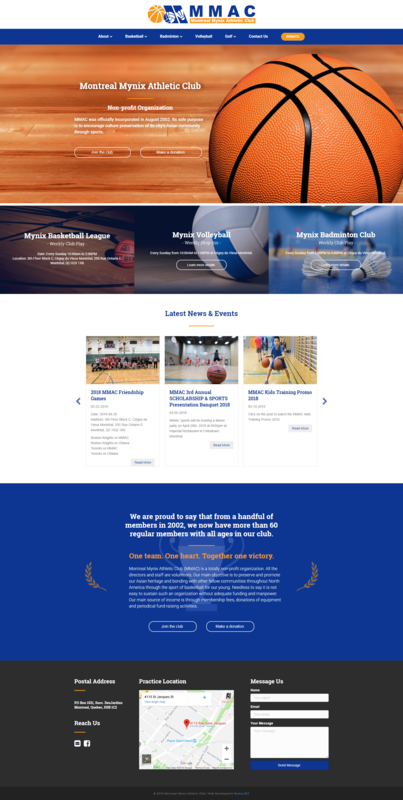 Montreal Mynix Athletic Club (MMAC) is a non-profit organization loosely founded in the early 1980’s. 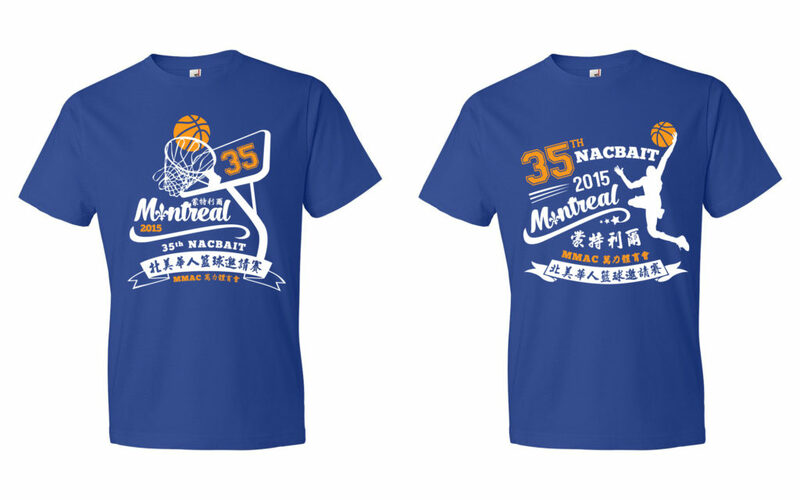 At the time it was simply a few die-hard basketball enthusiasts who decided to form a team in order to participate in some of the games being hosted by other Chinese communities’ sports clubs in Canada and the US. The website was initially revamped by me back in 2015 (screenshots on the right) and then rebuilt in a better coded structure with a much more user-friendly CMS (content management system) in 2018. I also gave discounts and offered to build a free donation system as they were non-profit. 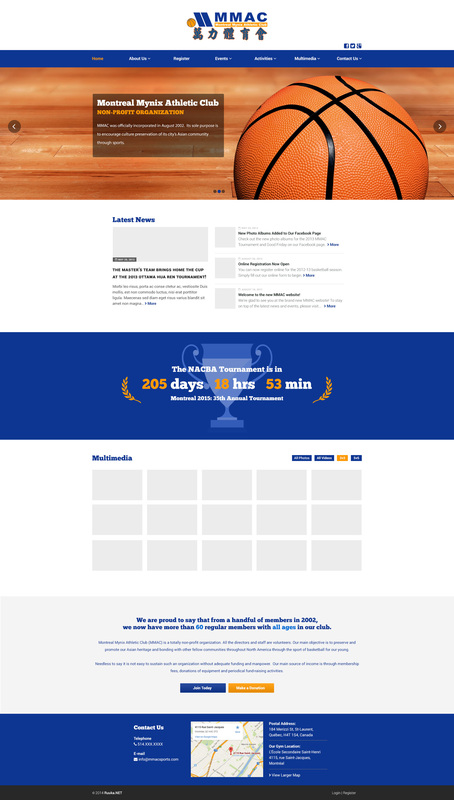 Screenshots show the initial mockup of the site (2015) versus what it is now today on the new site (2018). 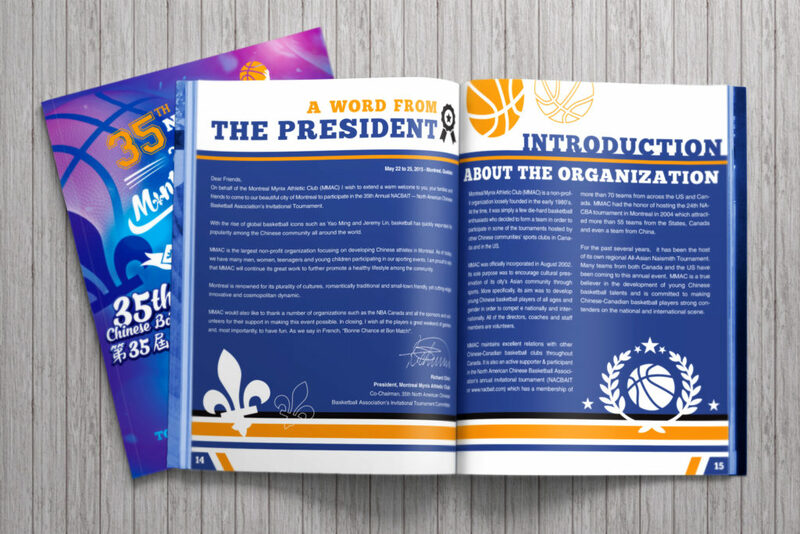 While this 54-page booklet required a lot of planning and tedious work from both parties, the result turned out great. Many copies were distributed for the NACBAIT dinner and got great feedback from it. A lot of thought and process went into the creation of the 35th NACBAIT logo. They wanted something that would represent the spirit of basketball whilst still contain all the words of the tournament to show what the event was about. Each player would then wear these logos on a t-shirt to represent the team. Below are some logo designs that were attempted and then modified for the final designs. The initial brochure for MMAC was done for 2015 (bottom two pages) along with the NACBAIT event. Then in 2018 (top two pages) when the client reconnected with me, I helped them update the brochure with new information with slight design changes. 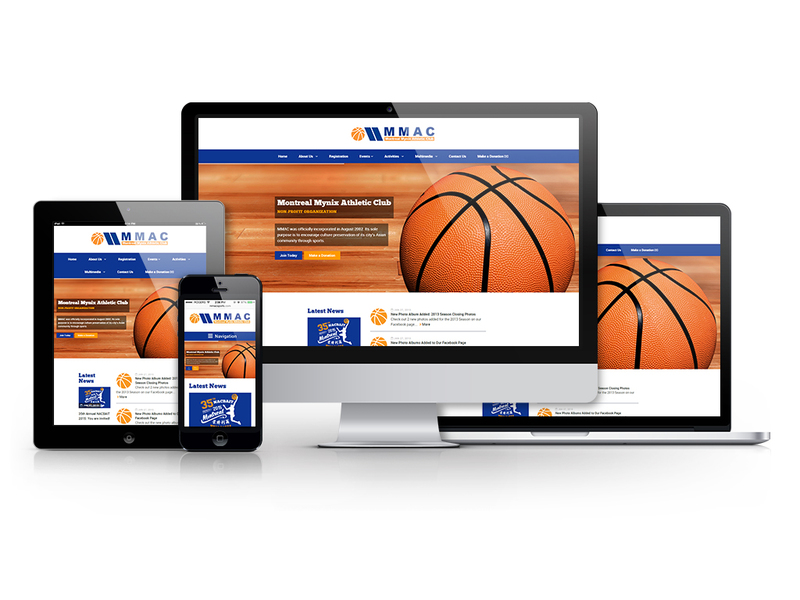 Other print and promotional related material done for MMAC Sports, such as business cards, large banner, email invitation and posters.